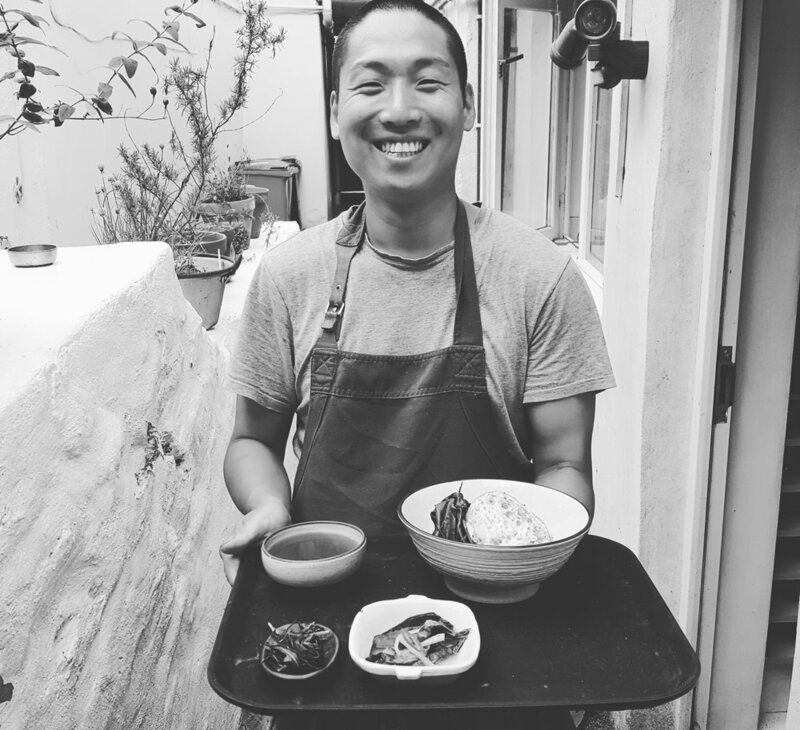 Sohn Kitchen is an authentic Korean pop up focusing on applying traditional Korean practices to local produce. We try to work closely with our producers, using otherwise wasted parts of plants, creating a slow and diverse larder from across the seasons, and most importantly spreading the techniques, processes and meals to as many folks as we can. Kimchi is a process, not a dish. We can season and ferment produce that grows the best in our local area, to preserve and enhance its nutrients and flavour. Interacting with our food this way is to make kimchi, and we’d like to encourage everyone to try! For now we are settling in and launching our recipe cards in collaboration with Regather, Moss Valley Market Garden and other local veg box schemes. We’ll send out a free, beautifully produced, tested ferment recipe each month so that you can try small batches of seasonal kimchi throughout the year. We will endeavour to update our website with more detailed information, but you can always email us with queries to sohnkitchen@gmail.com. Last year we were busy running regular pop ups, workshops and learning about growing with Newlina Eco Garden in Cornwall. We worked alongside FoAM Kernow, a Europe wide art and science collective, catering to creative briefs and culminating with a two week fermentation residence organised by FoAM at the Eden Project.